Sambar Deer have many subspecies which vary in size and appearance, but it is known as the largest Oriental deer with some adult males reaching 550kg in weight. They have a thick coat of long, coarse hair which forms a dense mane around the neck, especially in males. The males can be distinguished by their antlers, as well as being slightly larger and darker than females and young. 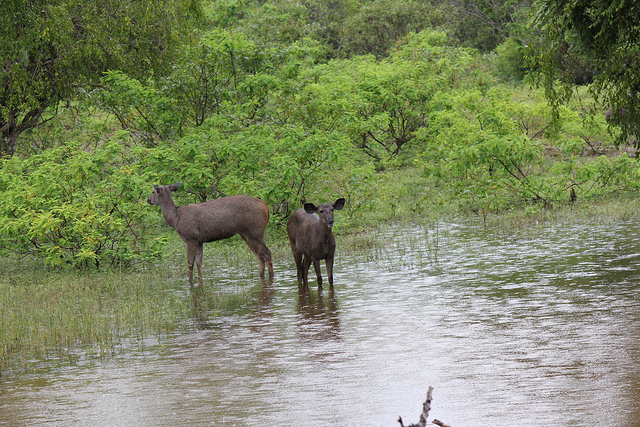 Sambar Deer are quite elusive and are most active at dusk and at night. They are predated by Indian Leopard, Bengal Tiger and Dhole, which makes them an important component of the ecosystem. Although their first instinct is to freeze when disturbed, they will confront predators with loud alarm barks, stomps and the mane will erect to make them appear more intimidating. The crest on the neck is also used as sexual ornamentation as males in breeding condition display a swollen neck, which is intensified by mud wallowing, which makes the individual appear larger and darker. Mating males also spray their bodies and the ground with urine, before rubbing their horns in the soil and rubbing them high on trees standing on their hind legs. Sambar Deer are water-dependent, so they are never found far from water, but otherwise can be found in a broad range of forest habitats: dry deciduous forest, rainforest and mixed forests. Their range is distributed from the foothills of the Himalayan Mountains across southern Asia and reaching the islands of Taiwan, Sumatra and Borneo. 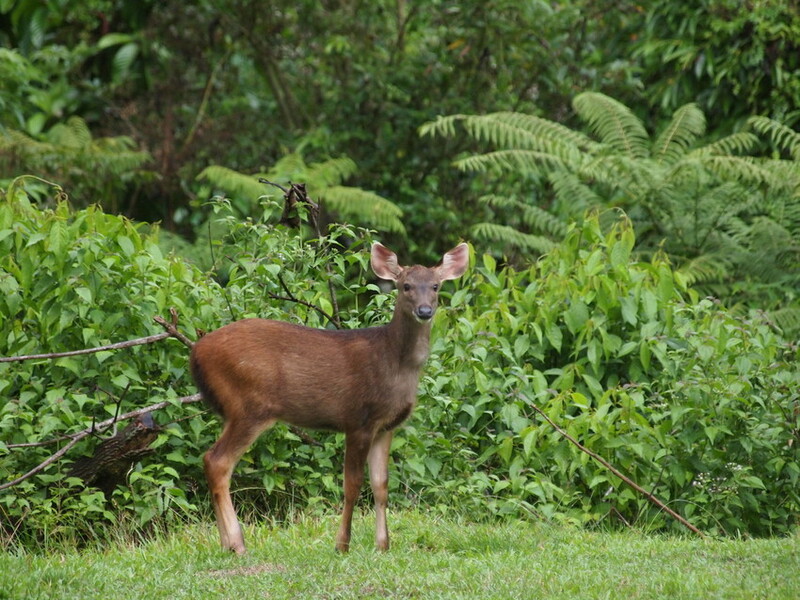 Over the past thirty years, populations of Sambar Deer have declined more than 50 per cent across South-east Asia, Borneo and Sumatra. The populations in India have been more stable within the network of protected areas, but have also seen a decline outside the parks and reserves. It is thought that these declines will continue at this rate until all the populations outside protected areas disappear, which will have an effect on the predators in these habitats as they may starve or turn to livestock, increasing human-wildlife conflict. There has also been demand for meat and antlers which has sped up the population declines in Lao PDR, Cambodia and Vietnam.